Bakar Berekashvili (1983) is a Lecturer in Political Science at the Georgian American University in Tbilisi. He studied politics, sociology, philosophy, and history in Slovenia, Austria, the Czech Republic, and in Poland. He has also completed several research stays at various academic institutions in Europe, including the Spanish National Research Council in Madrid and the Masaryk University in Brno. 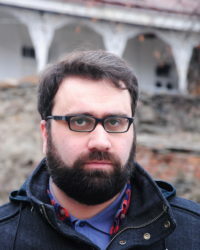 His research interests include elite theory, theories of democracy, politics, and society in Eastern Europe, classical and contemporary political theories, politics of memory in Europe (especially Southern Europe and Post-Communist Europe), sources of democratic nihilism in the age of late capitalism, and critical pedagogy.